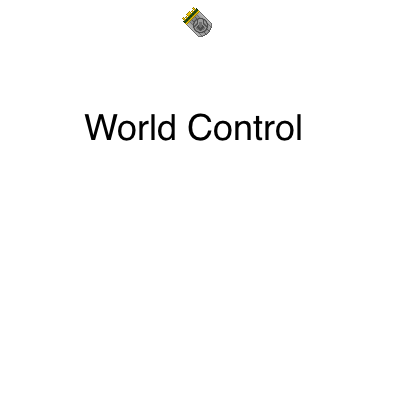 World Control is the official successor to Nuclear Control 2. Unlike it, it does not rely on IC2 and is built for 1.10+. It's currently in a development state, however; features and whatnot may change as time goes by, so be weary. You've seen the craters that Nuclear Reactors can cause. How one slip up can desolate your base. able to monitor your entire base; shut down reactors before they overheat and save the world from yourself! World Control is a mod that allows for the monitoring of several block in the world. It was originally designed by Shedar as Nuclear Control to monitor and control IC2 Nuclear Reactors, but the current team (Xbony2, dmf444 and Pyrolusite) have integrated it with several other popular mods. Modpacks- if you are to use this mod in a modpack, we highly encourage you use CurseForge to do so. Currently this is the only platform that compensates modders for inclusion in modpacks; by choosing to use another platforms, we get less downloads and you're basically making us lose money, thus we encourage CurseForge. (Using a direct link with ATLauncher is an alright way to get around this, although that's a bit messy.) Ultimately we can't stop you from using other platforms, but if you're going to make a public modpack please use CurseForge. Can you please complete World Control that man can also use it for the liquid reactor? Am currently using this in FTB Ultimate Reloaded. The Industrial alarm immediately crashed my game. The panels don't update unless you open the screen that they are tied to (so the reactor info doens't update unless you open the reactor menu itself, and the same for the battery/power info card panel). The Thermal Monitor hooks up to the reactor properly, and emits a green light, but redstone does not seem to connect to it. They are supposed to emit a strong redstone signal if the temperature of the reactor they are attached to is at or past the temperature you set in the monitor's GUI. Let me preface this by saying, an alpha mod, which doesn't add recipes to the game, should not really be used in world. 3) Thermal monitor should be functional, but it will not output redstone to the back side. This was done by choice. Let me say first as well, no disrespect meant. I understand the troubles of fixing random errors in code that come from seemingly no where lol. I didn't mean to be rude if it came off that way, just wanted to let you know a couple things I've noticed while trying to use the stuff (since it was included in FTB Ultimate Reloaded). Yeah, we've broken some panels and noticed the cards disappeared a few times haha. As far as the Thermal monitor's redstone goes.. does the backside count as the front of the box with the number and green light displaying? I've only had the light work by placing it directly onto a part of the reactor multiblock, and by trying to run redstone from the front or side of it there, it doesn't seem to connect. That being said, it may work and just not look connected to it, but my reactor design keeps heat at 0 so they wouldn't normally go off. I'll purposely up the heat and see what happens and get back to you. I am sorry, but this doesn't work with any recipe I try.. Neither Classic nor Current as they are described on FTB wiki. That my friend, is because there are no recipes! I forgot to add them in the last release... and modpacks started adding it.... God only knows why. Soon^TM. A new preview for 1.12.2 of the mod would be nice! I'd like to use it on my server (just for me and a few friends), but actually it don't work good enought for it. The monitor don'T remember which card in it and i don't know how to craft. But i see a great potential in this so mod, please update it! Please also add the recepies to nei and jei, that would be a lot user-friendlier. I hope you give me an answer. 1) Monitors have not been finished. You shouldn't be using them. I would be happy if you would release at least an alpha build of the mod, where you are able to work with. World-Control-1.0.31.jar <-- uploaded just now, with several fixes, and even more bugs! Enjoy! Looks like @mincrmatt12 been working on it! Might be worth playing with if there is a release in the near future. Yep, we’re slowly chipping away at it. Panels are 75%-ish done. They just don’t save current cards. And a few other bugs. Well, umm... pretend I don't know what "mox style" is, and that I needed you to describe it for me... how would you do that? Will it be updated to have all components from 1.7.10 ? Recipes missing and no guide?